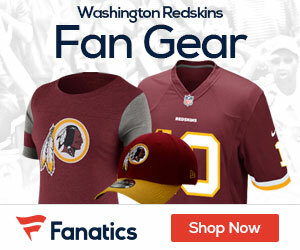 Mike Shanahan, 57, was hired Jan. 6 as the Redskins’ executive vice president and head coach. As head coach of the Denver Broncos from 1995-2008, he guided the club to back-to-back Super Bowl victories following the 1997-98 seasons and compiled a record of 154-103. He spoke with Redskins.com’s Larry Weisman in an exclusive Q&A interview at Redskins Park. Q: In coming back to coaching after a year off, are you sensing a difference in yourself in terms of your patience or your desire? A: “When you work for 35 years without any time off, 70-100 hour weeks for 35 years, and then you go through a season when you don’t have any time schedule except yours, that’s quite a difference. I had time to do things I had never been able to do, personally as well as professionally. Professionally, I went to some summer camps and got to see how other people run a camp at the professional level and at the collegiate level. I had not done that since I was in college and when you’re working in the NFL, the other teams aren’t going to let you see what they’re doing. So that was something that was interesting. Q: Even so, you were still thinking about a return to coaching. What sort of groundwork did you do? Q: Any recreation and relaxation? Q: Did you pay particular attention to the Houston Texans and your son Kyle, who was the offensive coordinator for them and is now offensive coordinator here? Q: As you thought about a staff, was Kyle always in the plans? Q: In your first year in Washington, do you view your job as more of an executive than a coach? Q: You had the luxury of longevity in Denver, living in one place. That’s rare for coaches. How different is it to be in a new city? Q: Wives are really the unsung heroes, aren’t they? Q: What was so appealing about the Redskins? Q: You were a Denver assistant when the Redskins beat the Broncos 42-10 in Super Bowl XXII with a 35-point second quarter. Any recollections of a day that must have been painful for you but so joyous for the Redskins? Q: How are the Redskins going to do this season? Q: The front office here underwent a shakeup last season that led to Bruce Allen’s hiring as general manager and yours as executive vice president and head coach. Do you have the freedom to operate as you see fit?